WordPress Website, FACE USA - NOYO Web Development Inc.
NOYO Web Development Inc. was able to help us understand the web design process and instantly provide solutions for our scope document. They made such a great impression on our team that we knew after our first conference call this was the company we wanted to work with. Medical Aesthetics is a serious business and we should know, we’ve spent the last decade working alongside many of the most educated, experienced and well-trained aesthetic providers across the country. As ‘insiders’ in the aesthetic industry, we’ve certainly seen it all. Enough to know that the most skilled providers we worked with shared many similar qualities and consistently represented a wide variety of medical specialties. Recognizing this, we set out to create a platform that would allow this diversified group otherwise known as ‘Aesthetic Providers’ to showcase their abilities and connect with consumers all over the country. Additionally, we’ve worked with thousands of aesthetic consumers over the years and have certainly heard it all. Collectively, these firsthand consumer experiences only reinforced the obvious….everyone ranked ‘safety’ and ‘great outcomes’ at the top of their wish list. But (maybe not) surprisingly, we learned what really motivates the majority of consumers and influences their treatment habits, keeping them engaged and coming back. Things such as the value of a referral, the power of a promotion and the benefits of a well-timed special event. 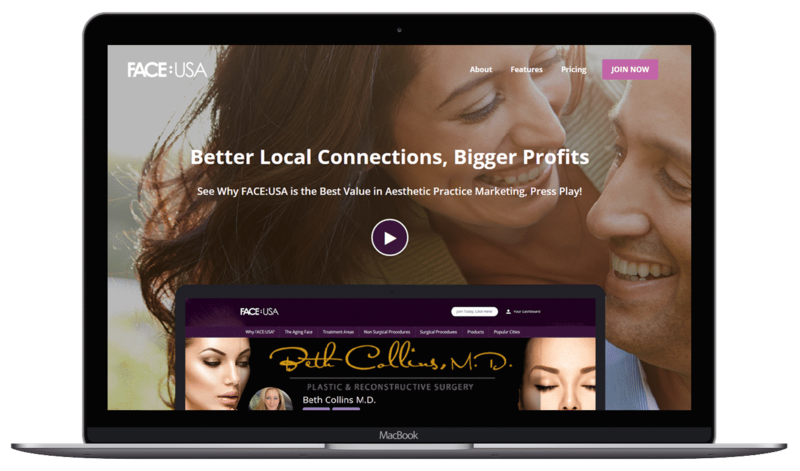 To put it simply, we founded FACE:USA to bring value to everyone involved in the aesthetic community. Consumers, providers, manufacturers and freelancers….just to name a few. We encourage you to join our community, contribute to our content or let us know if you would like to become a part of our growing team. gives you a wide array of options that will fit into your budget even while affording you with any assistance you desire.